If you are looking for a large pedestal table that you can customize to your hearts content then look no further then the one in our Shipshewana Dining Collection. Below are explanations on just a few of the many options that are available. 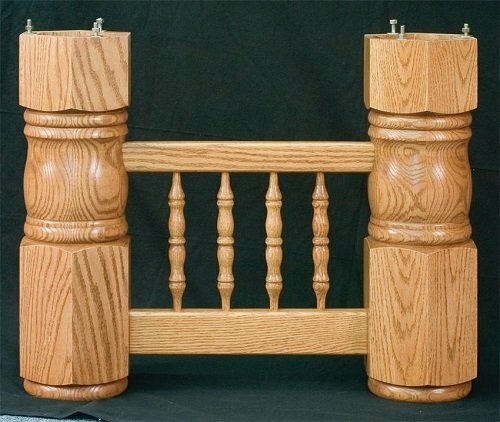 If you are looking for a custom size or maybe a custom pedestal then definitely give one of our Amish furniture sales associates a call regarding a custom dining table quote. 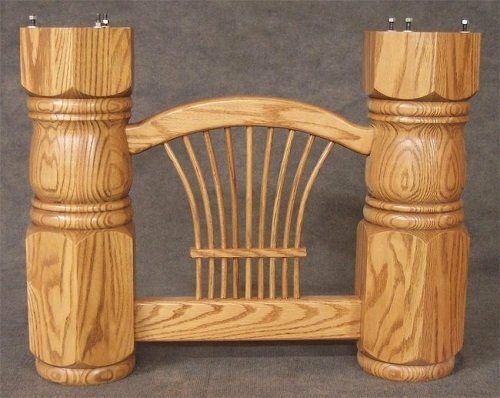 At DutchCrafters we specialize in custom furniture. 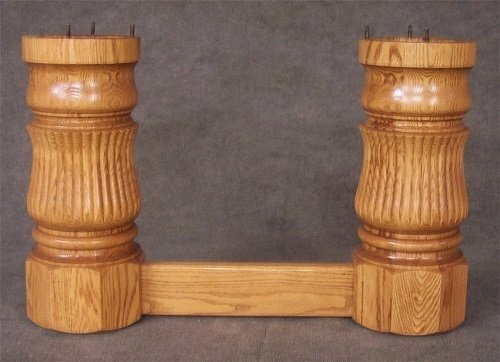 This pedestal table comes with five spreader options between the pedestals. The standard is our bar spreader with the standard column that is shown in the picture. The turned spindle spreader with standard column. The bar spreader with fluted column. 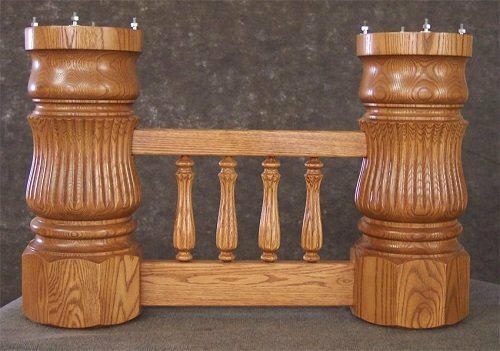 The different look of these columns with spreaders will transform the look of the pedestal table. The Princess Feet that are shown in the picture are the standard option however you can upgrade to our claw feet, fluted feet or claw fluted feet. 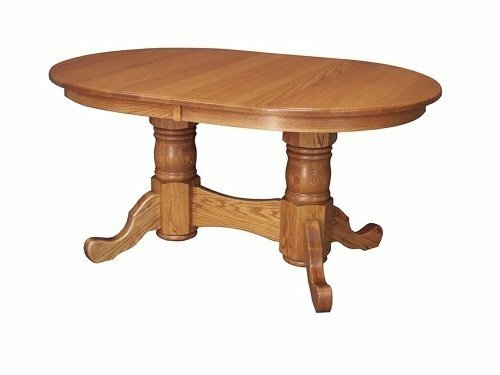 If you are looking for a smaller table then check out our custom single pedestal table for a smaller kitchen or dining room. I wanted to let you know that we did receive our furniture today and we absolutely love it. We were also very happy with the delivery. They were professional and courtesy.